Almost the minute the movie This Is 40, a “sort-of sequel to Knocked Up,” hit theaters, the emails started pouring in from readers wanting to know more about the house in it. 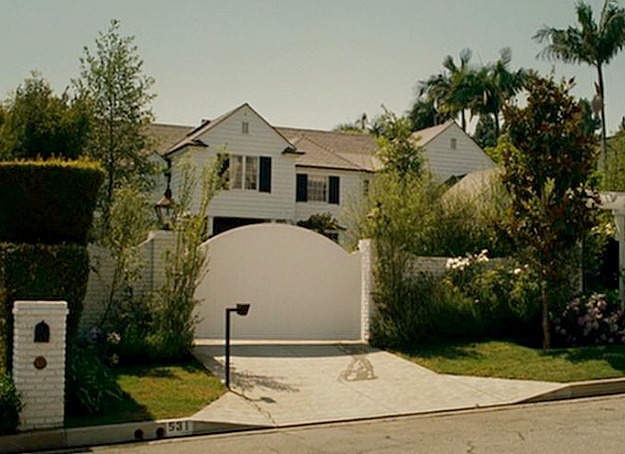 Paul Rudd and Leslie Mann’s Pete and Debbie live in the same great house in Brentwood, California, that they did in the first movie. Visit Radin’s website and check his portfolio under “Brentwood” to see more. He worked on some of my favorite “house movies,” like Something’s Gotta Give, The Holiday, and It’s Complicated. 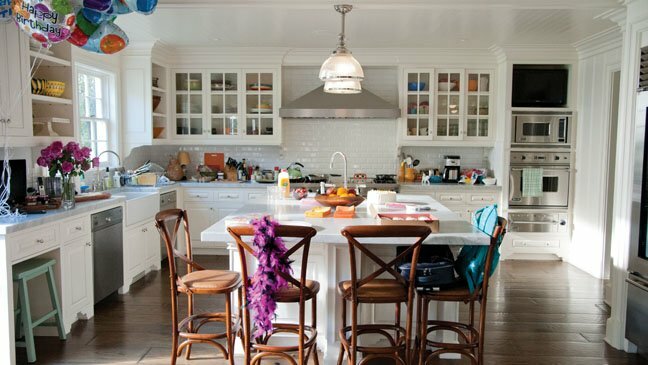 They ditched the drab window treatments in the kitchen and family room that were there in the first movie. All of the decorating was punched up a bit between the first and second and just looked fresher and more current. It’s a big house with 6 bedrooms and 6,500 square feet. Check out The Hollywood Reporter article to read the article about it (photography by Jessica Chou). No sign of the pool house in the sequel. Would have been nice to see how they’re using it now! I was hoping we’d get some clue about how Alison and Ben were doing all these years later. Seemed odd that they never explained their absence. Anyone else see it and spend most of the movie trying to get a better look at the house? It was fun to see how it was restyled since the first one! 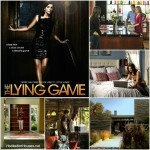 The Houses from "The Lying Game"
This is a beautiful home. It reminds me a bit of the Brentwood home that Ted Danson and Mary Steenburger own(ed?). I am looking forward to seeing “This is 40”. It looks very funny, from the pre-views I’ve seen. After Knocked Up, Katherine Heigl did some interviews where she said some not-very-nice things about the movie. She said it was “hard to love” because it was “a little sexist.” No way Judd Apatow was going to use her again. Maybe that explains it! Wish they would have at least had the characters mention what happened to them, though. I would have liked to know what happened to Alison and Ben too. Living in the pool house in a great neighborhood would have been more promising than moving back to his place. I love this house! I recognized it from designer James Radin’s website, he worked on Something’s Gotta Give and It’s Complicated. It’s under his portfolio under Brentwood. Thanks, Kelly! I just updated the post with the info. I have to agree–it was hard to believe she’d really fall for a guy like that. Really had to suspend my disbelief to get through that movie! Ha. Nice house, but there’s no way these characters could afford to own it, which is typical of the movies! I liked Knocked Up. This is 40 was disappointing. Not enough laughs and too much arguing! 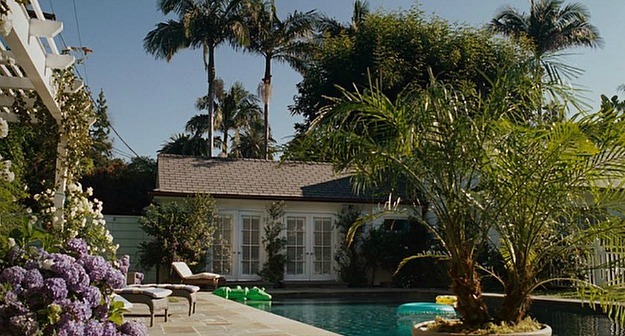 I loved this house in This is 40 !!! My friends kept saying they could see me living in it. I thought the movie on the most part was hilarious. I was laughing so hard in some parts that I was crying !! Melissa McCarhty was great at the end. Oh, I love this house! More and more, I’ m realizing I love neutral wall colors. Of course that house has many expensive details, but sometimes I feel that with strong wall colors, it’s all I notice. All in all, it’s just a gorgeous, “only in the movies” type of home. Great job! Thanks , Julia. I love this house and their kitchen!! Especially the beadboard on the ceiling! Even though this is a Hollywood house (well, Brentwood, actually, but you know what I mean) and two to three times the size of most average houses, it is decorated in ways accessible to many. Lots of good ideas here. I love the kitchen (though marble countertops are out of my range). My favorite look is the real house with the blue and white, and though I love the look of those pitchers on the shelves, it’s a little too decorated. More real, I think, is as shown in the movie houses with the mix of books and accessories. And I, for one, would definitely need room for books! I usually don’t like the look of a TV over the fireplace, but it looks nice and symmetrical here, and I like the painted paneling on the walls and the painted plank ceiling. I, too, am usually looking at the houses and decorating details in the movies as much as following the story itself, but, though I saw Knocked Up years ago, I didn’t remember this one. Thanks for the tour! Julia, you just keep watching movies for us so you can take pictures and research about them. We give you permission! Really though, you really do your research so well such as the above post.You do the work so we don’t have to. Thank you! I have loved this house since “Knocked Up”. It is truly my dream house– everything about it. I want to model every home project I do after it!! When I saw a commercial for “This is 40” the first time I actually was excited to see that they were in the same house and that I would get to see more shots of it! Great job, both Designer and Production! Thanks, Katie! I haven’t featured Gosford Park, but that’s a good one! 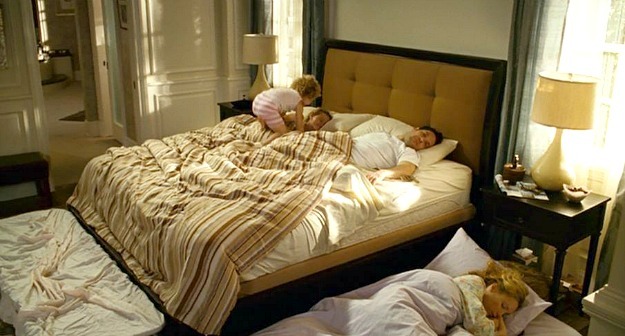 Does anybody know what the bedding is in the movie this is 40? Did you ever find the bedding? I want it too! I’ve been searching the internet, but can’t find it. Thank you for featuring this house! Didn’t see “This Is Forty” yet, but have loved it ever since “Knocked Up”. Wish my house had all those gorgeous huge windows! Love this house! Do you have a floor plan? We are having a house built and would love to get my hands on the floor plans. Does anyone know what “architectural style” this house is? California cottage? Two-story Contemporary Colonial? When googling for similar house plans, I can’t seem to find the right style…..
It’s not exactly the same but it has the basic kitchen, eating area and family room layout. Hope this helps. 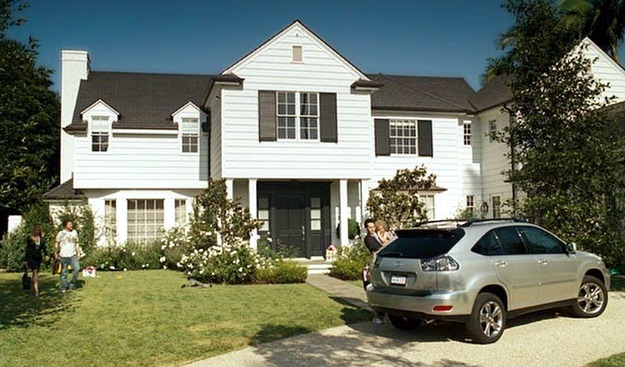 just saw the movie “This is 40” and although the movie was very funny, I couldn’t take my eyes off that beautiful house. OMG! Mr. Radin really knows how to pull things together. Hi, does anybody knows the artist GM that have done some of the prints on the wall? There is a black one with a man clapping, and a red one with a face on.